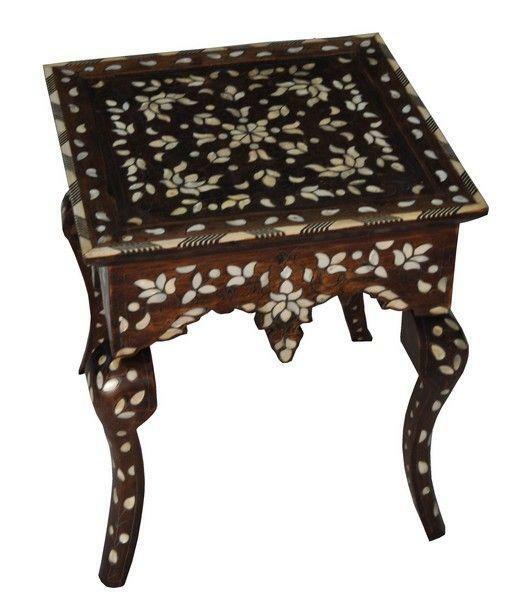 This is one elegant side table made of walnut wood and artistically decorated with inlaid pieces of genuine mother-of-pearl for a rich and authentic look. Fits amazingly in an oriental or Victorian decor. 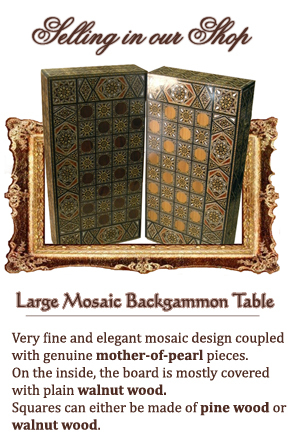 Follow us on Facebook for updates and gifts!